Liz Gunn is an experienced lactation consultant (IBCLC), breastfeeding counsellor (NCT) and tongue tie practitioner. Liz has been a midwife for many years and aware of the impact that pregnancy and birth can have on the new baby with regards to sucking skills and the behaviour of the newborn. It was from her work as a tongue tie practitioner over the last few years that has led Liz to want to explore more about the impact of the craniosacral system on tongue function, digestion and feeding. CST helps a baby get a good start in life. 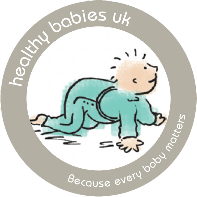 When a baby has had a difficult birth, is not feeding well, has colic, reflux or digestion problems, has interrupted sleep or is clearly uncomfortable, then cranial work may well be able to help them towards comfort and ease. Craniosacral Therapy is such a gentle non-invasive approach to healing, it is an ideal approach for babies. CST is a form of bodywork or alternative therapy focused primarily on the concept of "primary respiration" and regulating the flow of cerebrospinal fluid by using therapeutic touch. To do this light touch is applied to the baby's head, face, spine and pelvis. CST has developed from the ideas of osteopath, William Garner Sutherland in the early 1900s. He identified the gentle intrinsic rhythm characteristic of life, which is expressed by every structure of the body when in health. He further developed techniques to restore and balance these tissues. These gentle techniques can be applied to everyone from babies to the elderly. Liz has a Certificate in Craniosacral Therapy Level 1. The appointment is 60 minutes allowing time to take a full history and address any additional feeding issues if requested. Craniosacral therapists study cranial work exclusively. Most craniosacral therapy courses last at least one year. Cranial osteopaths train initially in osteopathy, a more mechanical approach, and then go on do postgraduate training in cranial work of variable length.